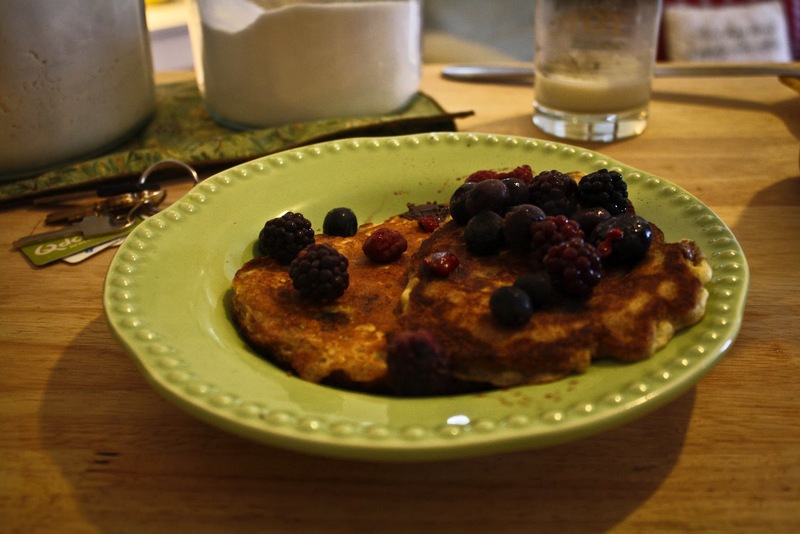 Following the Walkers: Oatmeal Pancakes. The other morning I woke up with a pancake craving (let's be honest, it happens almost every morning), and whipped up these puppies. While I have yet to meet a pancake I didn't like, I consider these to be among the finest I've ever made. And I'm kind of an expert in pancakery. I'm also a pancake addict.... my favorite so far have been pumpkin pancakes, but I'll have to give these a try soon! The recipe i had was a little different. it asked for cottage cheese in them and the if you like greek yogurt try mixing it with real maple syrup. really good!